Listen, we all use our phone in the bathroom. Whether it’s reading, scrolling, or game playing, we’re all doing it. Why not be more comfortable while you’re at? 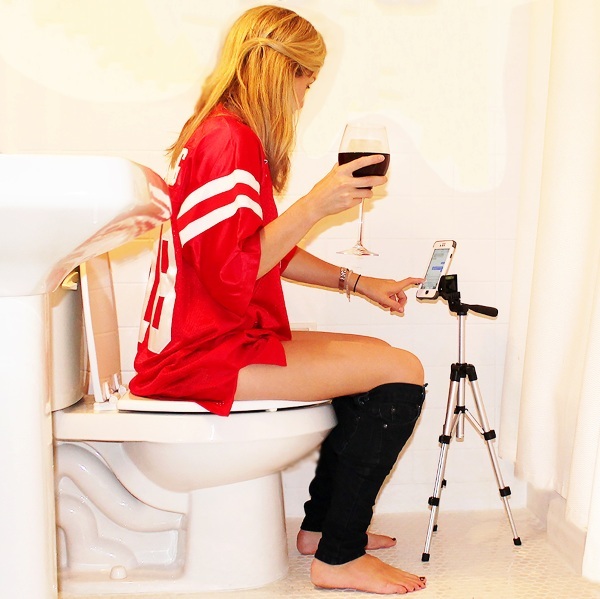 Ok, yes, this is a gag gift but but honestly, it’s just a tripod stand for your phone with a funny name. Sure you can use it in the bathroom but you can also set it up where ever you’d like. Next to your bed to watch movies, in the kitchen to play music while you clean, your options are endless. One of them is the bathroom though. If you know someone who needs this sort of support in their lives, you can pick up this stand for $19.95.